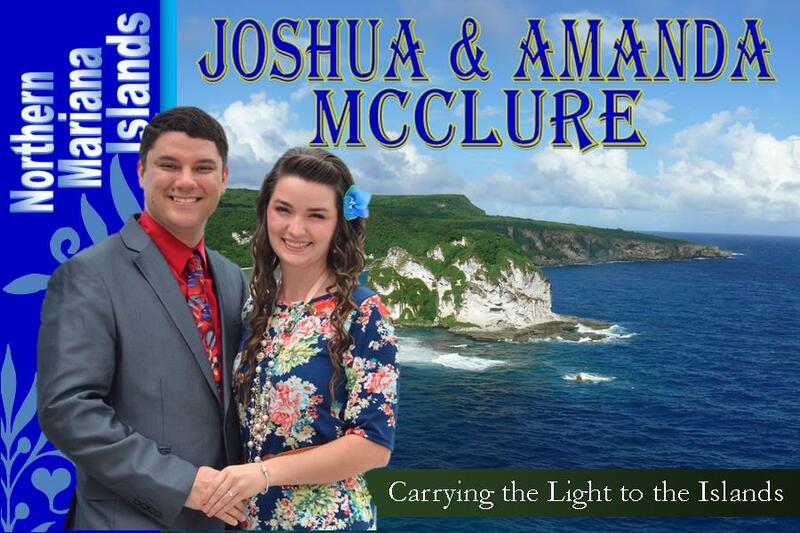 Joshua is a third generation WBF missionary who has been serving on a voluntary basis for the past six years first with his parents, Terry and Gloria McClure in the Republic of Palau from 2010-2014 then with his grandparents, David and Dorothy McClure, in Saipan from 2015-2016. He surrendered to serve God at age 19 and after graduating Independents Baptist Bible Institute in Palau he began full time ministry in preaching, working in the youth group and directing the church choir. Also, he has actively run Palau Baptist Church from 2011-2014 in a co-pastorate position. The Lord directed him to the Northern Mariana Island of Saipan where his grandparents are serving to aid in the ministry there. Being raised in this region he has proven to be an invaluable resource to the work as he knows the culture and some of the languages. He says, “God has a purpose for everyone’s life. I have found mine and there is no greater joy, peace or sense of fulfillment then knowing that I am fulfilling my life’s purpose.” He will be heading back to Saipan after raising his support to continue the work and his future plans are to plant other local churches on the neighboring islands that make up this chain.